Totally blown away and inspired by artwork like this and that, I went to town with my scissors and hole-punch and created a journal out of an old book by Hans Christian Anderson. 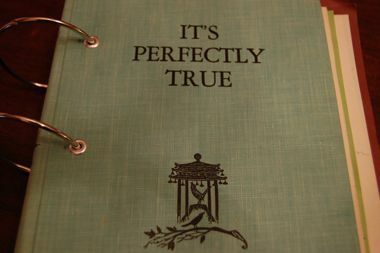 I thought the title “It’s Perfectly True” would suit our day-journal just fine! 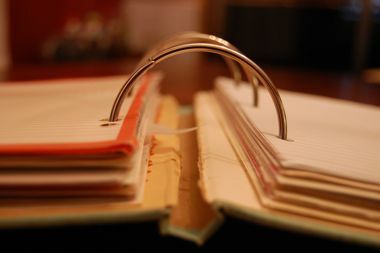 This is a place where I like to record our moments of significance, both big and small. For these are our moments of gratitude and praise to the Giver of all good gifts. 1. Find an old book that wouldn’t mind having its insides snipped out. 3. Drill holes in the front and back covers. 4. Attach brads for reinforcement. 6. Attach metal rings to hold it all together. Christ Talks: Laura Booz from Videos from ChristNow.com on Vimeo.